Citizenship Schools - Our research shows that a school’s curriculum, as a crucial element that reflects a school’s ethos, should be grounded within the frame of reference of the local community before it can extend to encompass the national and the global. School context and ethnic composition determine some of the issues within a school and its wider community; they need also to help shape the solutions. There is a challenge, not just for teachers, if we want our communities to be more cohesive. Everyone needs to meet that challenge, both the school community and those beyond the school gates – headteachers and leadership teams, teachers, support staff, pupils, parents and the wider society. Disparity of communities - There is no easily transferable template that comes with ethnic, religious and cultural identity; communities across the UK are diverse in their composition and present different challenges to schools. Yet as key agents in building community cohesion, unless schools anchor their education for diversity within their local context, they risk tokenism rather than a practical solution, scratching the surface instead of exploring opportunities. We have seen many examples where the excellent work of a school has made a difference to a community beyond the pupils it teaches. Numerous schools are using voluntary and community work, for example, as a bridge to greater understanding. Engaging parents and the wider community - Schools based in multicultural areas have the ready-made resource of the communities on their doorstep, which can bring education for diversity to life in the classroom. Many schools in multiethnic areas are reaching out to their community, using community representatives and leaders to build trust and understanding, and making a major contribution to community cohesion in their locality. 4. Children at primary school, for instance, benefit considerably from ‘tasters’ of different languages, which help them to think about and explore other cultures. Consideration needs to be given to how language teachers in primary schools can be supported to provide a wider platform of languages, including in those schools with a largely indigenous population. There are schools with outstanding practice in this area: Newbury Primary School, for instance, in 2005 won a European Award for Languages. Through its partnership with parents and the community, it teaches a different language each month. There is a growing number of languages in use in the UK, including in areas where previously few languages other than English were spoken. Competence in community languages can represent substantial benefits for young people, their community and UK society. Some of the most widely spoken and studied community languages – Urdu, Turkish, Chinese, Bengali and Arabic – are likely to be of particular benefit to the UK economy, both for trade and for international relations in the 21st century. There are extensive opportunities for community language teachers and modern language teachers to build partnerships. But these need to be sufficiently well resourced. Such partnerships open up the possibilities of a language being used not just by those whose community language it is but also in the form of ‘tasters’ – and possibly more – for the whole school. Careful thought also needs to be given to how pupils with a community language are supported in schools. Linking schools - A major recommendation in our report is the further development of school links, matched to the particular demographics of the school. Links between schools can be a powerful resource for education for diversity. We believe that schools need to work with each other across the UK so that both monocultural and multiethnic schools build proper partnerships, electronically and through visits. A representative from the Inter Faith Network, for example, emphasised the importance of school linking as a way of promoting education for diversity for monocultural schools, believing in the ‘moral mission’ to persuade headteachers of its importance. Our review has shown how powerful this can be when based on planned curriculum objectives. 1. They are trusted centres of education and will enhance the learning of young people through interpretative, discursive and other creative approaches. 2. They will contribute towards delivering the Every Child Matters, Equalities and community cohesion agendas. 3. They will contribute towards the ‘Futures’ curriculum debate. 4. They will contribute towards meeting the spiritual, moral, social and cultural needs of young people. 5. They will support faith groups to feel more secure in their own religious and spiritual identities. 6. 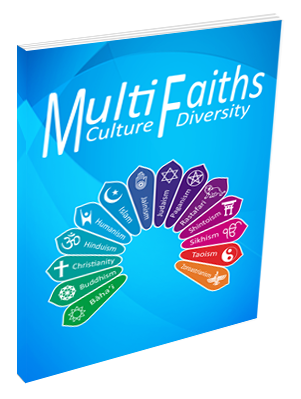 They will help young people understand the commonalities, as well as the distinct differences, of each faith perspective. 7. They will help young people develop an integrated plural identity. 8. They will assist young people to become skilled cultural and faith navigators. 9. They will support schools in developing young people as active citizens. 10. They will help the young people develop the necessary tolerance, empathy and respect for those who are different from themselves. 11. They will help young people counter ‘racial’, ‘cultural’ and ‘faith’ racism, and will contribute to defeating the rise of extremism in whatever guise. 12. They will help young people understand that we are all part of one world, part of a global network, with global, shared responsibility. Geography, for example, can be an ideal platform for school links: employment, community and neighbourhood, for instance, all deal with identity and diversity. Schools can study their local area, relate it to their local experience and compare it with other areas and experiences, sharing information, discussion and debate with other schools. Building these links will require careful national and local organisation and resourcing, to remove some of the logistical burdens from schools. It is important for young people to acquire a better understanding of the role that religions play in today’s pluralistic world. The need for such education will continue to grow as diff erent cultures and identities interact with each other through travel, commerce, media or migration. Knowledge about religions and beliefs can reinforce appreciation of the importance of respect for everyone’s right to freedom of religion or belief, foster democratic citizenship, promote understanding of societal diversity and, at the same time, enhance social cohesion. Knowledge about religions and beliefs is an essential part of a quality education. It is required to understand much of history, literature, and art, and can be helpful in broadening one’s cultural horizons and in deepening one’s insight into the complexities of past and present. Efforts should be made to establish advisory bodies at diff erent levels that take an inclusive approach to involving diff erent stakeholders in the preparation and implementation of curricula and in the training of teachers. Where a compulsory programme involving teaching about religions and beliefs is not suffi ciently objective, eff orts should be made to revise it to make it more balanced and impartial, but where this is not possible, or cannot be accomplished immediately, recognizing opt-out rights may be a satisfactory solution for parents and pupils, provided that the opt-out arrangements are structured in a sensitive and non-discriminatory way. Those who teach about religions and beliefs should be adequately educated to do so. Such teachers need to have the knowledge, attitude and skills to teach about religions and beliefs in a fair and balanced way. Teachers need not only subject-matter competence but pedagogical skills so that they can interact with students and help students interact with each other in sensitive and respectful ways. Curricula should be developed in accordance with recognized professional standards in order to ensure a balanced approach to study about religions and beliefs. Development and implementation of curricula should also include open and fair procedures that give all interested parties appropriate opportunities to off er comments and advice. 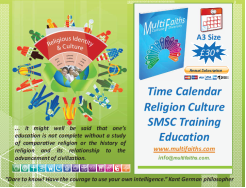 Curricula focusing on teaching about religions and beliefs should give attention to key historical and contemporary developments pertaining to religion and belief, and refl ect global and local issues. They should be sensitive to diff erent local manifestations of religious and secular plurality found in schools and the communities they serve. Such sensitivities will help address the concerns of students, parents and other stakeholders in education.